Considering the state of the economy, starting up a moving company can be a terrifying undertaking. Some people think that they can only start the business if they have big commercial trucks and huge warehouses. Well, they’re wrong. You don’t need to purchase those big trucks or even rent a warehouse to build a moving company. You can quickly engage in the business of moving with a smaller van in place. However, there are a few general steps that can help you start a moving company business. Here are some of them. 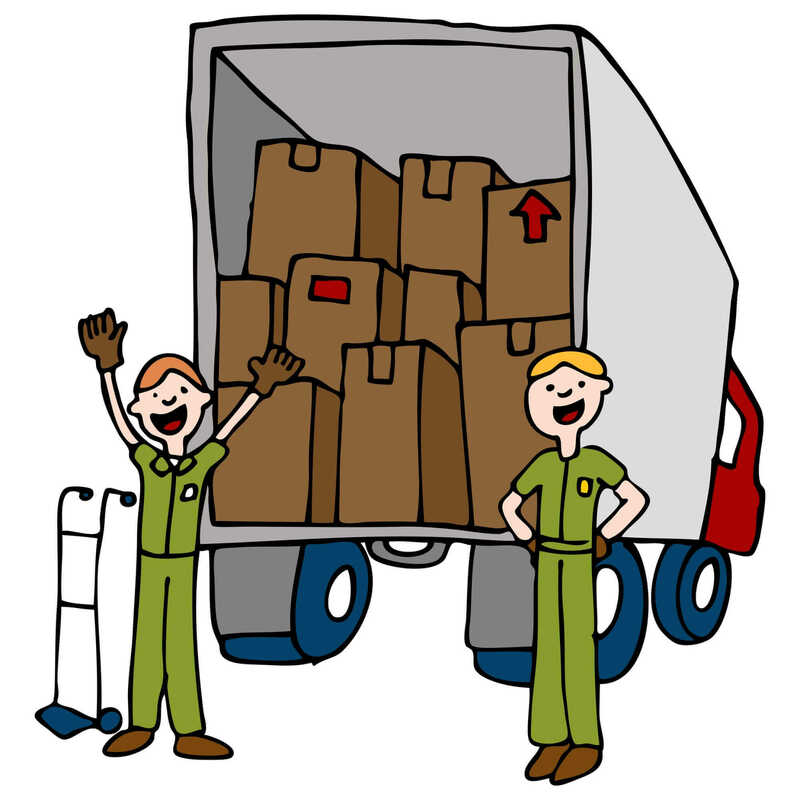 Let’s have a look at the moving company business model and how to set up one. Of course, you can’t open a business without preparing a business plan. Regardless of the size of your new moving company, you’ll still require a plan of action. A business plan, for instance, will be your guide in answering the question on how to start the company. It’s an essential part of running a business as it allows you to pay attention to the key points, predict business development, apportion resources and prepare for possible problems that may come along the way. Additionally, your business plan should also include some factors that will help your business to work out. Like any other business, you need to comply with the legal authorizations when starting up a moving company. After all, you can’t open a legitimate business without applying for certain permits. Thus, you need to get in touch with your local state regulatory authority to gather information on licensing and registration necessary for putting up a new moving company business. However, you should bear in mind that state requirements for moving companies vary from one place to another. So, make sure you become familiar with your state laws before deciding to start up your own company. Depending on the size of the moving company you want, you need a significant amount of money to get started. This means you have to calculate the possible costs that you may incur upon starting a moving business. When you’re a beginner, it’ll help if you start small. Purchase a smaller moving truck and an initial inventory of several moving materials. These moving basics include various moving boxes, dollies, ropes, moving pads, furniture belts, and some packing supplies. With these moving essentials in place, you’ll look more equipped in the eyes of your customers. Once you purchase your own moving trucks, be sure to register them with the designated local registration officer in your state. Building your own moving company requires you to have cargo and liability insurance. That said, it’s essential to speak with your insurance agency and get the right insurance coverage for liability and damages. Typically, you need to obtain cargo and vehicle insurance as you’ll engage in the business of moving. Try to check with your insurance agent the specific requirements necessary for getting your cargo and vehicle insurance. Give your new company a great name. Select carefully and be sure you’ll not be involved in any legal issues. Create your own logo and make sure your company numbers and the logo will be placed on your moving truck. That way, people will see that you’re operating a moving business. Come up with an effective marketing strategy. Nowadays, you can do this by making some connections and becoming a member of some moving associations. Also, get memberships on local business directories and other publications. Make a business website. These days, people use the Internet to search for something online. Thus, creating a site can help you build a robust online presence. This means you should have a well-designed website that provides a list of moving services. If you have extra budget, talk to a professional web designer to ensure your online presence. Work with some online brokers and lead providers. It’s one way of getting a kick-start on your new moving business. Not only that but you need to get your moving schedules filled up as soon as you open the company. If you have no experience in the moving industry, it’s essential to have some training before offering some services to your potential customers. This kind of training can give you a better understanding of the system used in packing and loading. If you want to excel in the moving industry, you need to be more efficient in all phases of the moving process. That way, you’ll be able to establish a good reputation in this business. Most people believe that the word of mouth form of advertising is the most effective way to attract customers and get more referrals. That’s why it’s vital to take care of your potential customers and make sure you accommodate them promptly by answering all frequently asked questions to movers like you. If you have the strength, dedication, and a vehicle that you can use, opening a moving company can be a great way to make a living. All you have to do is to conduct thorough research and prepare your start-up capital. When all are set, you’re then ready to reap great rewards. If you’re planning to start up a moving company like Movers NYC in the Big Apple, keep these tips in mind, and you’ll be on your way toward having a great moving business shortly. This is a guest contribution by Dianne Belencio-Abonita has been writing blogs for Roadway Moving a New York-based moving company. She is interested in a lot on this niche which makes it a joy for her to write about Movers NYC. But among all the niches, business and marketing are her favorite. When she’s not busy writing, Dianne spends her time with her husband Francis and daughter Francinne. This is where she draws inspiration from to continually provide informative blogs to the different audience. How to get started with your business? Previous Previous post: Centralized vs. Decentralized Exchanges: What Business Model works best? Centralized vs. Decentralized Exchanges: What Business Model works best?